Poor sanitation and hygiene are posing a huge financial burden on Kenyan households. According to the Ministry of Health, the treatment of diseases spread through poor hygiene and sanitation costs the country Ksh. 27 billion annually. “It is regrettable that the country spends billions of shillings in the treatment of water-borne diseases that could have easily been avoided.” Collins Sang, founder of Cosarophyll Limited says. Through Cosarophyll Limited, Sang’ has decided to take the bull by its horn by inventing a first-of-its-kind automatic hand sanitizer product. The social entrepreneur is positioning himself to provide a solution that not only helps champion for proper hygiene and sanitation, but also one that is affordable. With his background in industrial and applied chemistry, Sang’ and his team have come up with an all-natural soap manufactured from pure ingredients as it utilizes the extract of Chlorophyll and vitamin E, dubbed Cosarophyll. “Unlike the sticky, medicinal-smelling gels that typically leave skin dry after evaporating, Cosarophyll produces a lemony-peppermint fragrance while softly moisturizing one’s hands”, adds Sang. In the spirit of conserving water and at the same time promoting proper hygiene techniques, Sang’ sought to develop a hand-washing water dispenser that would complement Cosarophyll. But a challenge lay ahead. He had the idea of the perfect machine but didn’t possess the technical knowledge. Sang’ thus embarked on research. After thorough research and study, he finally got it right. The innovation utilizes known sensor technology for a streamlined way to wash your hands that saves energy and water. This unique device will address not only wash-station space issues but also infection-control requirements at eateries and medical centres by providing another line of safety for the public. The Kenyan-based social entrepreneur says that the eco-friendly alternative has been “overwhelmingly approved and accepted” by the health community. While a conventional hand sanitizer machine uses electricity, the device is battery-powered with a maximum uptake of 0.5 litres of liquid soap, he claims. The device is controlled by via sensors, with a small solar generator installed to address the need of having to replace batteries and consumption of electricity. The simplicity of design according to Sang, will enable them to move to mass production at a cost-effective manner, thus offering more households the ability to purchase it. Sang’ is not blind to the opportunity in the market he plays in. According to allied analytics LLP, the Hand Sanitizer Market is expected to grow to Ksh. 1.8 billion by 2023, at a rate of 10.6 per cent. “The potential is vast, and we are determined to capitalize on it. At present our service market is estimated to be worth Ksh. 2 billion and in three years’ time we aim to reach over 1000 households and institutions,” says Sang. No wonder then that with just less than a year in business, the start-up has already provided services to more than 200 outlets. Sang reveals that with no external funding at the start of operations, they have had to grow organically albeit at a slow rate. But this has also brought forth lessons to his entrepreneurial journey. “One of the golden rules of business we have all heard before: Do not go into business without understanding the market,” he notes. 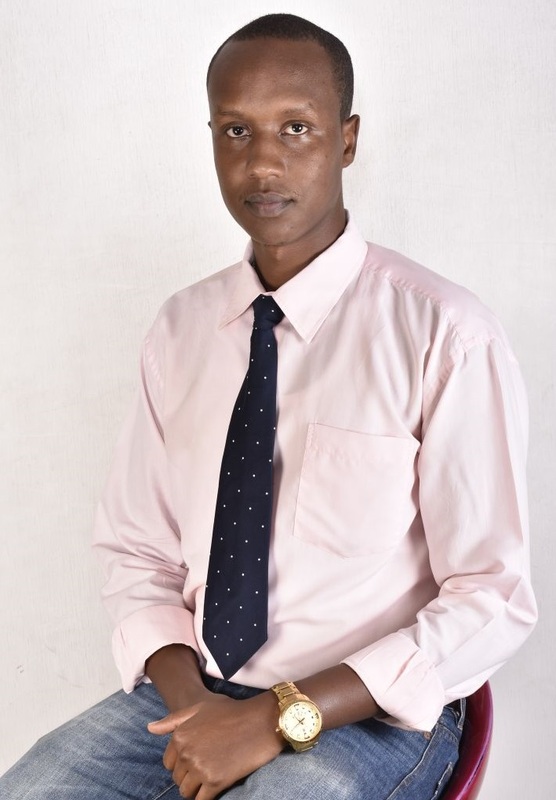 Last year, Sang participated in The Technical University of Kenya (TU-K) accelerated program for entrepreneurs, and he is since working closely with other entrepreneurs brainstorming on ideas and pushing the agenda on health further. Accomplishment stems from intrinsic motivation and inspiration — something Sang says, has influenced him throughout the years. With eyes on the price and the need to make the society a cleaner place, Sang is confident that the appliance will be a reality for medical centres, eateries, and even everyone’s household!